The sparkling amaryllis flower brings warmth on cold days. You can make it the star of the holidays, but it also does well in early spring. Invite this long-stemmed stately beauty to shine in your home. The amaryllis’s petals are very unusual: they look like they’re made of fabulous velvet and come in white, red, yellow, pink, salmon, purple, orange and bicoloured. There are usually 4 to 6 impressive flowers on the stem. The amaryllis has no leaves, which is why they sometimes call her the ‘Naked Lady’ in the United States. The amaryllis symbolises pride and enchanting beauty and represents friendship and affection, so it’s definitely a flower for winning hearts. Our amaryllis originates from South and Central America and the Caribbean, and is not actually an amaryllis. 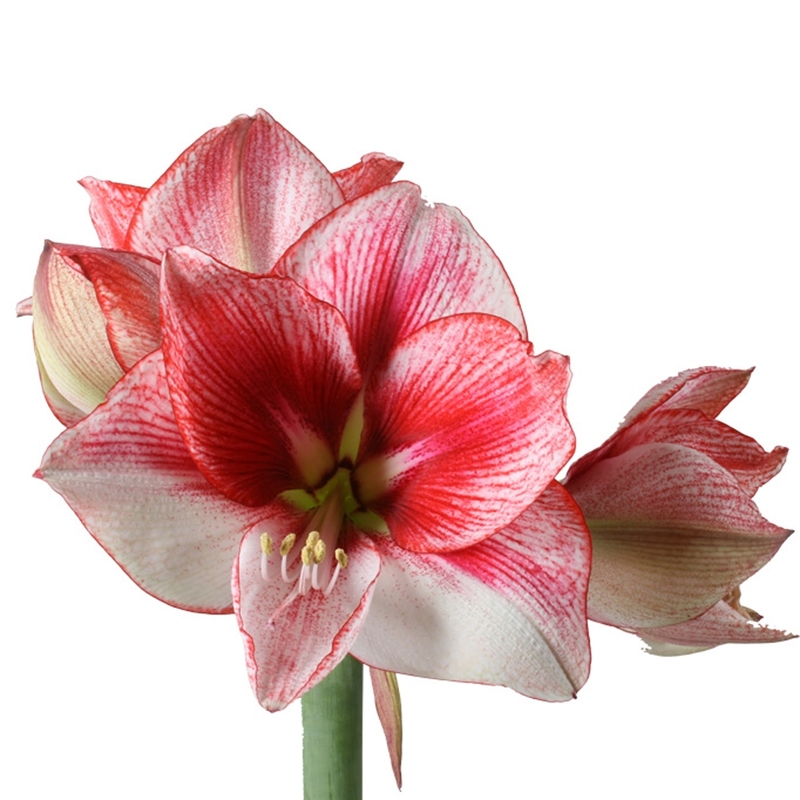 What we call amaryllis is actually called Hippeastrum. This radiant flower is derived from the narcissi family and grows from a bulb. The name Hippeastrum comes from the Greek and literally means ‘knight star’, referring to the star-shaped petals. Hippeus = knight and astron = star. Select a sturdy glass vase. Make sure that the vase is nice and clean, fill it with water and use cut flower food for bulb flowers. Place the vase in a reasonably cool spot, not in a draught or next to the fruit bowl.